Ever 50 prominent artists came together to record a tribute to Johnny Clegg, a true South African legend who has made an incredible mark on the music industry. 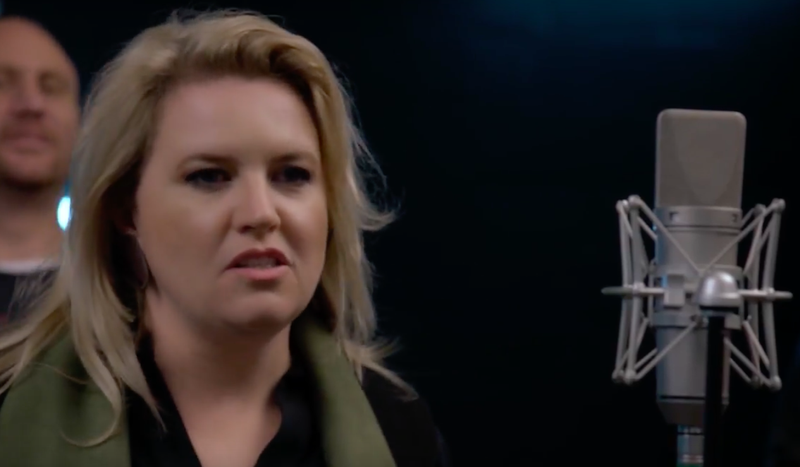 This song which features artists such as Karen Zoid, Karlien van Jaarsveld, Kurt Darren, Laudo Liebenberg, Lira, Majozi, Mike Rutherford, Corlea, Dave Matthews, Peter Gabriel and Craig Lucas. The tribute was played to Johnny Clegg for the first time on Wednesday night and we could not wait to share it with you! A fund was created in Clegg’s honour to help alleviate the education crisis in South Africa - Aptly named ‘Friends of Johnny Clegg’. All proceeds of downloads of this special version of “The Crossing” will go towards this Fund. Artists featured on ‘The Crossing’ tribute. Karen Zoid, Abigail Kubeka, Andre Venter, Andy Mac, Anna Davel, Ard Matthews, Arno Carstens, Bobby van Jaarsveld, Corlea, Craig Hinds, Craig Lucas, Dan Patlansky, Dave Matthews, David Kramer, Dorothy Masuka, Elvis Blue, Emo Adams, Francois van Coke, Franja du Plessis, Gloria Bosman, Jason Hartman, Jesse Clegg , Jimmy Nevis, Juanita du Plessis, Judith Sephuma, Kahn Morbee, Karlien van Jaarsveld, Kurt Darren, Laudo Liebenberg, Lira, Majozi, Mike Rutherford, Paige Mac, Patricia Lewis, Peter Gabriel, Ross Learmonth, Somizi, Stompie Ernesta Manana, Thandeka Campher, Thembeka Mnguni, Tresor Riziki, Vicky Sampson, Victor Masondo, Vusi Mahlasela, Yati Khumalo, Zander Tyler (Jack Parow), Zolani Mahola. Band: Darren Petersen, Henry Steel, Schalk van der Merwe, Theo Crous, Kyle Petersen, Richard Brokensha & the RMB Starlight Classics Orchestra.